124. 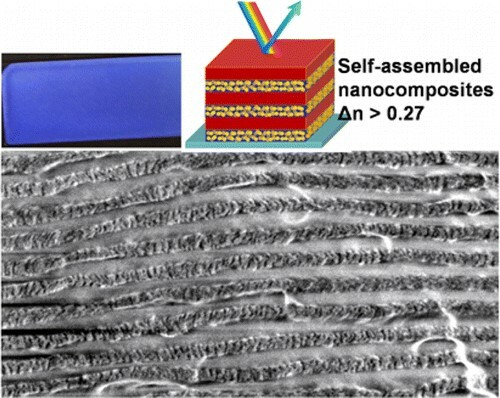 Song, D.-P.; Li, C.; Colella, N. S.; Lu, X.; Lee, J.-H.; Watkins, J.J. "Thermally Tunable Metallodielectric Photonic Crystals from the Self‐Assembly of Brush Block Copolymers and Gold Nanoparticles" Adv. Opt. Mater. (advanced online April 2015) DOI: 10.1002/ adom.201500116. 123. 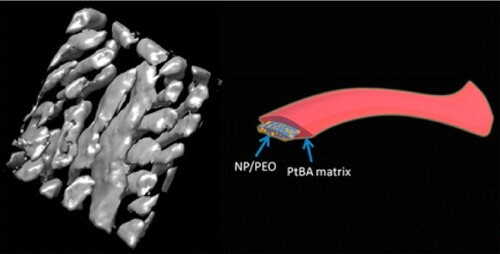 Song, D-P; Lin, Y; Gai, Y; Colella, N; Li, C; Liu, X-H; Gido, S; Watkins, J.J. “Controlled Supramolecular Self-Assembly of Large Nanoparticles in Amphiphilic Brush Block Copolymers” JACS 2015 137(11), 3771-3774 DOI:10.1021/jacs.5b01050. 122. 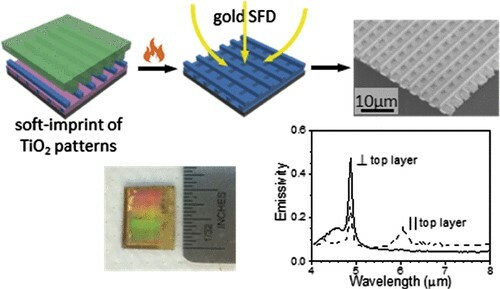 Li, Cheng; Colella, N; Watkins, J.J. “Low Temperature Fabrication of Mesoporous Titainium Dioxide Thin Films with Tunable Refractive Index for 1-D Photonic Crystals and Sensors on Rigid and Flexible Substrates” ACS Appl. Mater. Interfaces 2015. 7(24), 13180-13188 DOI: 10.1021/acsami.5b03240. 121. Howell, I.R; Li, C; Colella, N; Ito, K; Watkins, J.J. “Strain-Tunable One Dimensional Photonic Crystals Based on Zirconium Dioxide/Slide-Ring Elastomer Nanocomposites for Mechanochromic Sensing” ACS Applied Mats & Interfaces 2015 7(6), 3641-3646 DOI:10.1021/am5079946. 120. Chen, J. H.; Zhou, Y. L.; Wang, D. H.; He, F.; Rotello, V. M.; Carter, K. R.; Watkins, J. J.; Nugen, S. R. “Uv-Nanoimprint Lithography as a Tool to Develop Flexible Microfluidic Devices for Electrochemical Detection.” Lab on a Chip 2015, 15, 3086-3094 DOI: 10.1039/c5lc00515a. 119. Qian, G; Lin, Y; Wantz, G; Davis, A.R; Carter, K.R; Watkins, J.J. “Saturated and Multi-Colored Electroluminescence from Quantum Dots Based Light Emitting Electrochemical Cells” Advanced Functional Materials 2014 24(28): 4484-4490. DOI: 10.1002/adfm.201400167. 118. Yao, L; Lu, X; Chen, S; Watkins, J.J. “Formation of Helical Phases in Achiral Block Copolymers by Simple Addition of Small Chiral Additives” Macromolecules 2014 47(19), 6547-6553 DOI:10.1021/ma501714g. 117. Lin, Y; Wang, X; Qian, G.; Watkins J.J. “Additive-Driven Self-Assembly of Well Ordered Mesoporous Carbon/Iron Oxide Nanoparticle Composites for Supercapacitors” Chemistry of Materials 2014. 26(6) 2128-2137 DOI: 10.1021/cm404199z. 116. Wang, X. Y., R. D. Tilley, et al. "Simple Ligand Exchange Reactions Enabling Excellent Dispersibility and Stability of Magnetic Nanoparticles in Polar Organic, Aromatic, and Protic Solvents." Langmuir 30(6), 2014: 1514-1521. DOI: 10.1021/la404757q. 115. Yao, L.; Lin, Y. Watkins, J. J. “UltraHigh Loading of Nanoparticles into Ordered Block Copolymer Composites” Macromolecules 2014. 47(5) 1844-1849 DOI: 10.1021/ma500338p. 114. Song, D.P; Wang, X; Lin, Y; Watkins, J.J. “Synthesis and Controlled Self-Assembly of UV-Responsive Gold Nanoparticles in Block Copolymer Templates.” J. Phys. Chem. B, 2014, 118 (44), pp 12788–12795 DOI: 10.1021/jp508212f. 113. Hendricks, N. R.; Kothari, R.; Wang, X. Y.; Watkins, J. J., “Mesoporous silica/nanoparticle composites prepared by 3-D replication of highly filled block copolymer templates.” Journal of Materials Chemistry C 2014, 2, (29), 5938-5943. DOI: 10.1039/C4TC00406J. 112. Cunci, L., C. A. Velez, et al. 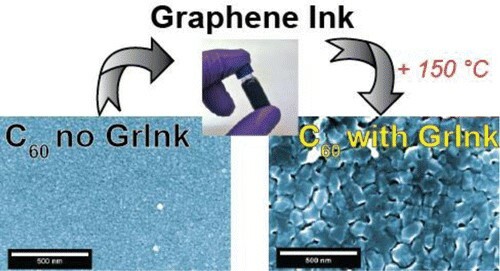 "Platinum Electrodeposition at Unsupported Electrochemically Reduced Nanographene Oxide for Enhanced Ammonia Oxidation." ACS Applied Materials & Interfaces 6(3): 2137-2145 2014 DOI: 10.1021/am4052552. 111. Kothari, R; Winter, H.H; Watkins, J.J. “Rheological Study of Order-to-Disorder Transitions and Phase Behavior of Block Copolymer-Surfactant Complexes Containing Hydrogen-Bonded Small Molecule Additives” Macromolecules 2014, 47(22), 8048-8055 DOI:10.1021/ ma501816d. 110. Colella, N.S; Zhang, L; McCarthy-Ward, T; Mannsfeld, S.C.B; Winter, H.H; Heeney, M; Watkins, J.J; Briseño, A.L. “Controlled integration of oligo- and polythiophenes at the molecular scale.” Physical Chemistry Chemical Physics 2014 DOI:10.1039/C4CP02944E. 109. Beaulieu, M.R. ; Hendricks, N.R. 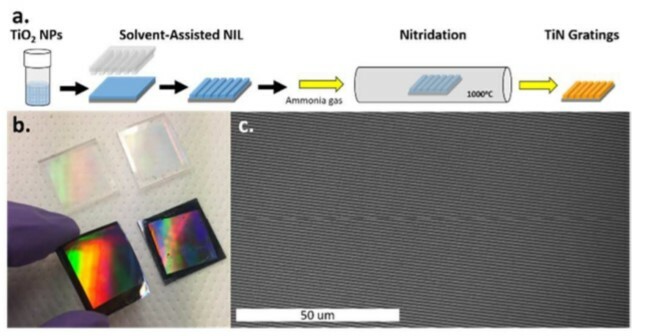 ; Watkins, J.J.; “Large-Area Printing of Optical Gratings and 3D Photonic Crystals Using Solution-Processable Nanoparticle/Polymer Composites.” ACS Photonics 2014 1(9) 799-805. DOI 10.1021/Ph500078f. 108. Liu, F., C. Wang, et al. "Relating Chemical Structure to Device Performance via Morphology Control in Diketopyrrolopyrrole-Based Low Band Gap Polymers." Journal of the American Chemical Society 135(51): 19248-19259. 2013 DOI: 10.1021/ja408923y. 107. Beaulieu, M. R.; Baral, J. K.; Hendricks, N. R.; Tang, Y. Y.; Briseño, A. L.; Watkins, J. J., "Solution Processable High Dielectric Constant Nanocomposites Based on Zro2 Nanoparticles for Flexible Organic Transistors." 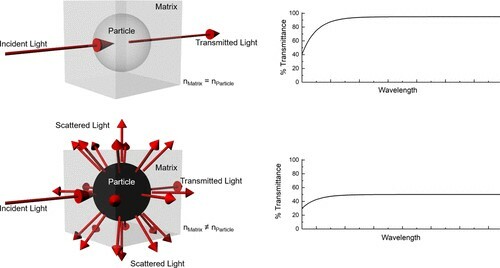 ACS Applied Materials & Interfaces 2013 .5(24) 13096-13103 DOI: 10.1021/am404129u. 106. Yao, L.; Watkins, J. J., "Photoinduced Disorder in Strongly Segregated Block Copolymer Composite Films for Hierarchical Pattern Formation." ACS Nano 2013 , 7 (2), 1513-1523. DOI: 10.1021/nn3052956. 105. 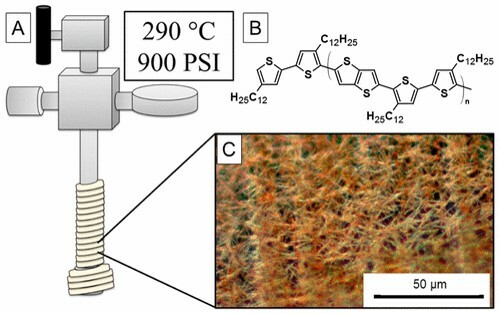 Yao, L.; Woll, A. R.; Watkins, J. J., " Directed Assembly of Block Copolymer Templates for the Fabrication of Mesoporous Silica Films with Controlled Architectures Via 3-D Replication." Macromolecules 2013, 46 (15), 6132-6144. DOI: 10.1021/ma401018y. 104. John, J.; Tang, Y. Y.; Rothstein, J. P.; Watkins, J. J.; Carter, K. R., "Large-Area, Continuous Roll-to-Roll (R2R) Nanoimprinting with PFPE Hybrid Mold." Nanotechnology 2013, 24 (50), 505307-505307. DOI: 10.1088/0957-4484/24/50/505307. 103. Lin, Y.; Wang, L. M.; Krumpfer, J. W.; Watkins, J. J.; McCarthy, T. J., "Hydrophobization of of Inorganic Oxide Surfaces Using Dimethylsilanediol." Langmuir 2013, 29 (5), 1329-1332. DOI: 10.1021/la303963q. 102. Miranda, D. F.; Versek, C.; Tuominen, M. T.; Russell, T. P.; Watkins, J. J., "Cross-Linked Block Copolymer/Ionic Liquid Self-Assembled Blends for Polymer Gel Electrolytes with High Ionic Conductivity and Mechanical Strength." Macromolecules 2013, 46 (23), 9313-9323. DOI: 10.1021/ma401302r. 101. You, Eunyoung; Guzman-Blas, Rolando; Nicolau, Eduardo; Scibioh, M. Aulice; Karanikas, Christos F.; Watkins, James J.; Cabrera, Carlos R., "Co-deposition of Pt and ceria anode catalyst in supercritical carbon dioxide for direct methanol fuel cell applications." Electrochimica Acta 2012, 75, 191-200. DOI: 10.1016/j.electacta.2012.04.091. 100. Le Trequesser, Quentin; Mesguich, David; You, Eunyoung; Aymonier, Cyril; Watkins, James J., "Supercritical fluid deposition of compositionally uniform yttria stabilized zirconia films." Journal of Supercritical Fluids 2012, 66, 328-332. DOI :10.1016/j.supﬂu.2011.11.018. 99. 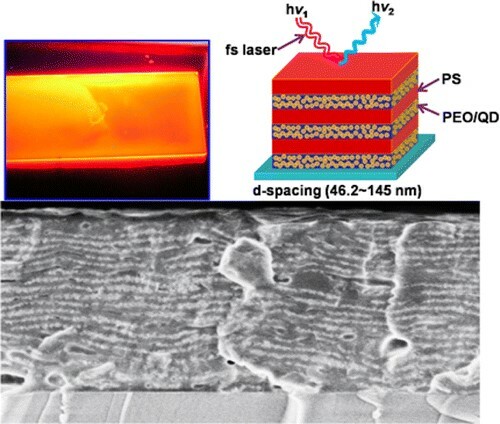 Wei, Qingshuo; You, Eunyoung; Hendricks, Nicholas R.; Briseño, Alejandro L.; Watkins, James J., "Flexible Low-Voltage Polymer Thin-Film Transistors Using Supercritical CO2-Deposited ZrO2 Dielectrics." ACS Applied Materials & Interfaces 2012, 4 (5), 2322-2324. DOI: 10.1021/am300371d. 98. Lin, Ying; Lim, Jung Ah; Wei, Qingshuo; Mannsfeld, Stefan C. B.; Briseño, Alejandro L.; Watkins, James J., "Cooperative Assembly of Hydrogen-Bonded Diblock Copolythiophene/Fullerene Blends for Photovoltaic Devices with Well-Defined Morphologies and Enhanced Stability." Chemistry of Materials 2012, 24 (3), 622-632. DOI: 10.1021/cm203706h. 97. Wei, Qingshuo; Lin, Ying; Anderson, Eric R.; Briseño, Alejandro L.; Gido, Samuel P.; Watkins, James J., "Additive-Driven Assembly of Block Copolymer-Nanoparticle Hybrid Materials for Solution Processable Floating Gate Memory." ACS Nano 2012, 6 (2), 1188-1194. DOI: 10.1021/nn203847r. 96. Zhang, Lei; Walker, Bright; Liu, Feng; Colella, Nicholas S.; Mannsfeld, Stefan C. B.; Watkins, James J.; Thuc-Quyen Nguyen; Briseño, Alejandro L., "Triisopropylsilylethynyl-functionalized dibenzo[def,mno]chrysene: a solution-processed small molecule for bulk heterojunction solar cells." Journal of Materials Chemistry 2012, 22 (10), 4266-4268. DOI: 10.1021/ma3019393. 95. 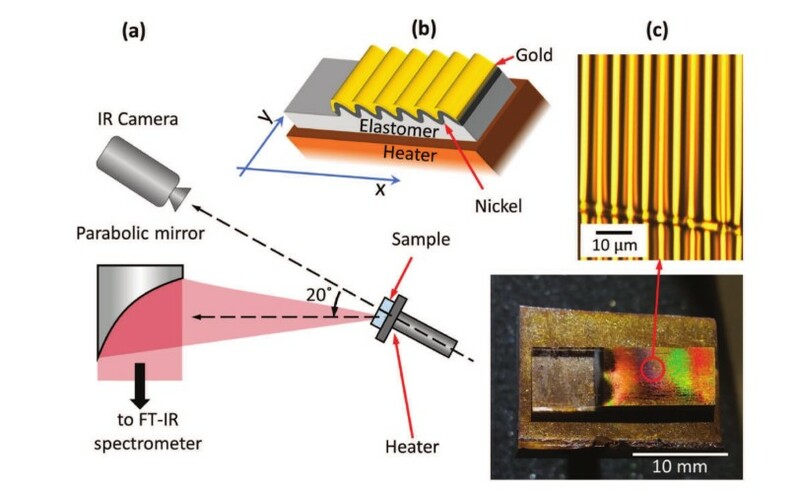 Mesguich, David; Aymonier, Cyril; Bassat, Jean-Marc; Mauvy, Fabrice; You, Eunyoung; Watkins, James J., "Low-Temperature Deposition of Undoped Ceria Thin Films in scCO(2) As Improved Interlayers for IT-SOFC." Chemistry of Materials 2011, 23 (24), 5323-5330. DOI: 10.1021/cm2012846. 94. Daga, Vikram K.; Anderson, Eric R.; Gido, Samuel P.; Watkins, James J., "Hydrogen Bond Assisted Assembly of Well-Ordered Polyhedral Oligomeric Silsesquioxane-Block Copolymer Composites." Macromolecules 2011, 44 (17), 6793-6799. DOI: 10.1021/ma200926n. 93. Erenturk, Burcin; Hendricks, Nicholas R.; Watkins, James J.; Carter, Kenneth R., "Fabrication of nanostructured porous oxide layers." Abstracts of Papers of the American Chemical Society 2011, 242, 189-PMSE. 92. Lin, Ying; Daga, Vikram K.; Anderson, Eric A.; Gido, Samuel P.; Watkins, James J., "High volume production of well-ordered hybrid materials for device applications." Abstracts of Papers of the American Chemical Society 2011, 242, 37-PMSE. 91. Lin, Ying; Daga, Vikram K.; Anderson, Eric R.; Gido, Samuel P.; Watkins, James J., "Nanoparticle-Driven Assembly of Block Copolymers: A Simple Route to Ordered Hybrid Materials." Journal of the American Chemical Society 2011, 133 (17), 6513-6516. DOI:10.1021/ja2003632. 90. Gungor, M. Rauf; Watkins, James J.; Maroudas, Dimitrios, "Mechanical properties of ultralow-dielectric-constant mesoporous amorphous silica structures: Effects of pore morphology and loading mode." Applied Physics Letters 2011, 98, 121902. DOI: 10.1063/1.3567537. 89. Daga, Vikram K.; Schwartz, Evan L.; Chandler, Curran M.; Lee, Jin-Kyun; Lin, Ying; Ober, Christopher K.; Watkins, James J., "Photoinduced Ordering of Block Copolymers." Nano Letters 2011, 11 (3), 1153-1160. DOI: 10.1021/nl104080v. 88. Daga, Vikram K.; Lin, Ying; Watkins, James J.; Okoroanyanwu, Uzodinma; Petrillo, Karen; Ashworth, Dominic; Peng, Hua-Gen; Soles, Christopher L., "Additive-loaded EUV photoresists: performance enhancement and the underlying physics." Extreme Ultraviolet (EUV) Lithography II, Proceedings of SPIE 2011, 7969, 796907. 87. Hendricks, Nicholas R.; Watkins, James J.; Carter, Kenneth R., "Formation of hierarchical silica nanochannels through nanoimprint lithography." Journal of Materials Chemistry 2011, 21 (37), 14213-14218. DOI: 10.1039/c1jm11493j. 86. Miranda, Daniel F.; Russell, Thomas P.; Watkins, James J., "Ordering in Mixtures of a Triblock Copolymer with a Room Temperature Ionic Liquid." Macromolecules 2010, 43 (24), 10528-10535. DOI: 10.1021/ma1015209. 85. Daga, Vikram K.; Watkins, James J., "Hydrogen-Bond-Mediated Phase Behavior of Complexes of Small Molecule Additives with Poly(ethylene oxide-b-propylene oxide-b-ethylene oxide) Triblock Copolymer Surfactants." Macromolecules 2010, 43 (23), 9990-9997. DOI: 10.1021/ma101694n. 84. Hendricks, Nicholas R.; Carter, Kenneth R.; Watkins, James J., "Formation of hierarchical silica nanochannels with nanoimprint lithography." Abstracts of Papers of the American Chemical Society 2010, 240, 75-PMSE. 83. Karanikas, Christos F.; Li, Han; Vlassak, Joost J.; Watkins, James J., "Quantitative Interfacial Energy Measurements of Adhesion-Promoted Thin Copper Films by Supercritical Fluid Deposition on Barrier Layers." Journal of Engineering Materials and Technology-Transactions of the ASME 2010, 132 (2), 02014. DOI: 10.1115/1.4000283. 82. Karanikas, Christos F.; Watkins, James J., "Kinetics of the ruthenium thin film deposition from supercritical carbon dioxide by the hydrogen reduction of Ru(tmhd)(2)cod." Microelectronic Engineering 2010, 87 (4), 566-572. DOI: 10.1016/j.mee.2009.08.011. 81. Lin, Ying; Daga, Vikram K.; Watkins, James J., "Photo-induced ordering of block copolymer surfactants upon blending with molecular glass." Abstracts of Papers of the American Chemical Society 2010, 239, 442-PMSE. 80. Ell, John R.; Crosby, Todd A.; Peterson, Joseph J.; Carter, Kenneth R.; Watkins, James J., "Formation of SiO2 Air-Gap Patterns Through scCO(2) Infusion of NIL Patterned PHEMA." Chemistry of Materials 2010, 22 (4), 1445-1451. DOI: 10.1021/cm902337t. 79. Romang, Alvin H.; Watkins, James J., "Supercritical Fluids for the Fabrication of Semiconductor Devices: Emerging or Missed Opportunities?" Chemical Reviews 2010, 110 (1), 459-478. (invited) DOI: 10.1021/ cr900255w. 78. Nagarajan, Sivakumar; Russell, Thomas P.; Watkins, James J., "Dual-Tone Patterned Mesoporous Silicate Films Templated From Chemically Amplified Block Copolymers." Advanced Functional Materials 2009, 19 (17), 2728-2734. DOI: 10.1002/adfm.200900127. 77. Chandler, Curran M.; Vogt, Bryan D.; Francis, Timothy J.; Watkins, James J., "Unexpected Scaling Behavior of the Order-Disorder Transition of Nearly Symmetric Polystyrene-block-polyisoprene Diblock Copolymers Dilated with a Nominally Neutral Solvent at Very Low Dilution." Macromolecules 2009, 42 (13), 4867-4873. DOI: 10.1021/ma9003709. 76. Hess, David M.; Naik, Rajesh R.; Rinaldi, Carlos; Tomczak, Melanie M.; Watkins, James J., "Fabrication of Ordered Mesoporous Silica Films with Encapsulated Iron Oxide Nanoparticles using Ferritin-Doped Block Copolymer Templates." Chemistry of Materials 2009, 21 (10), 2125-2129. DOI: 10.1021/cm802748j. 75. Chen, Hung-Ting; Crosby, Todd A.; Park, Myoung-Hwan; Nagarajan, Sivakumar; Rotello, Vincent M.; Watkins, James J., "Accessibility of cylindrical channels within patterned mesoporous silica films using nanoparticle diffusion." Journal of Materials Chemistry 2009, 19 (1), 70-74. DOI: 10.1039/b815055a. 74. 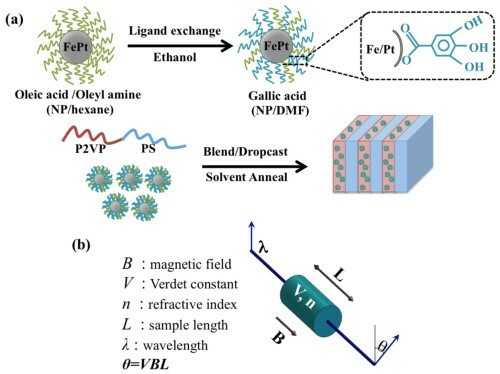 Tirumala, Vijay R.; Daga, Vikram; Bosse, August W.; Romang, Alvin; Ilavsky, Jan; Lin, Eric K.; Watkins, James J., "Well-Ordered Polymer Melts with 5 nm Lamellar Domains from Blends of a Disordered Block Copolymer and a Selectively Associating Homopolymer of Low or High Molar Mass." Macromolecules 2008, 41 (21), 7978-7985. DOI: 10.1021/ma801124n. 73. Gungor, M. Rauf; Watkins, James J.; Maroudas, Dimitrios, "Mechanical behavior of ultralow-dielectric-constant mesoporous amorphous silica." Applied Physics Letters 2008, 92 (25), 251903. DOI: 10.1063/1. 2949556. 72. Tirumala, Vijay R.; Romang, Alvin; Agarwal, Sumit; Lin, Eric K.; Watkins, James J., "Well ordered polymer melts from blends of disordered triblock copolymer surfactants and functional homopolymers." Advanced Materials 2008, 20 (9), 1603-1608. DOI: 10.1002/adma. 200701577. 71. 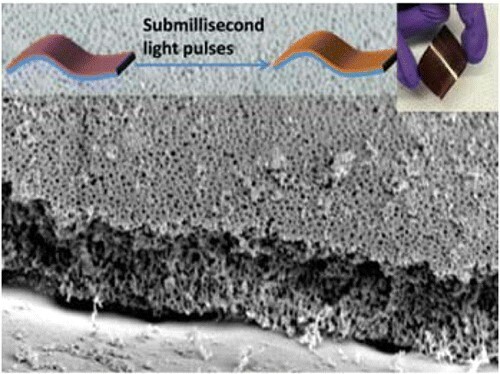 Nagarajan, Sivakumar; Bosworth, Joan K.; Ober, Christopher K.; Russell, Thomas P.; Watkins, James J., "Simple fabrication of micropatterned mesoporous silica films using photoacid generators in block copolymers." Chemistry of Materials 2008, 20 (3), 604-606. DOI: 10.1021/cm702397b. 70. 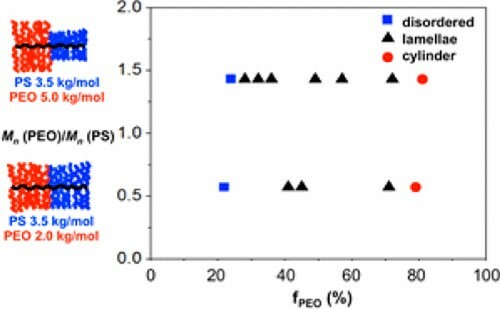 Nagarajan, Sivakumar; Li, Mingqi; Pai, Rajaram A.; Bosworth, Joan K.; Busch, Peter; Smilgies, Detlef-M.; Ober, Christopher K.; Russell, Thomas P.; Watkins, James J., "An efficient route to mesoporous silica films with perpendicular nanochannels." Advanced Materials 2008, 20 (2), 246-251. DOI: 10.1002/adma.200701766. 69. 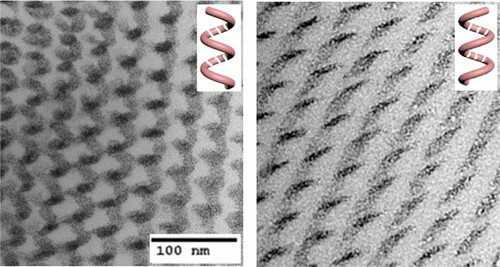 Nagarajan, Sivakumar; Bosworth, Joan K.; Ober, Christopher K.; Russell, Thomas P.; Watkins, James J., "Directly patterned mesoporous dielectric films templated from chemically amplified block copolymers." Advanced Metallization Conference 2007 (AMC 2007), MRS Conference Proceedings 2008, 23, 495-499. 68. Tirumala, Vijay R.; Pai, Rajaram A.; Agarwal, Surnit; Testa, Jason J.; Bhatnagar, Gaurav; Romang, Alvin H.; Chandler, Curran; Gorman, Brian P.; Jones, Ronald L.; Lin, Eric K.; Watkins, James J., "Mesoporous silica films with long-range order prepared from strongly segregated block copolymer/homopolymer blend templates." Chemistry of Materials 2007, 19 (24), 5868-5874. DOI: 10.1021/cm070792x . 67. O'Neil, Adam; Watkins, James J., "Reactive deposition of conformal metal oxide films from supercritical carbon dioxide." Chemistry of Materials 2007, 19 (23), 5460-5466. DOI: 10.1021/cm070288s. 66. Francis, Timothy J.; Vogt, Bryan D.; Wang, Michael Xiaohui; Watkins, James J., "Scaling of interdomain spacing of diblock copolymers in a selective diluent." Macromolecules 2007, 40 (7), 2515-2519. DOI: 10.1021/ma062000a. 65. Shan, Xiaoying; Schmidt, David P.; Watkins, James J., "Study of natural convection in supercritical CO2 cold wall reactors: Simulations and experiments." Journal of Supercritical Fluids 2007, 40 (1), 84-92. DOI:10.1016/j.supﬂu.2006.03.023. 64. O'Neil, Adam; Watkins, James J., "Conformal deposition of metal oxide films in supercritical carbon dioxide." Advanced Metallization Conference 2006 (AMC 2006) 2007, 233-238. 63. O'Neil, Adam; Watkins, James J., "Reactive deposition of conformal ruthenium films from supercritical carbon dioxide." Chemistry of Materials 2006, 18 (24), 5652-5658. DOI: 10.1021/cm070288s. 62. Lavery, Kristopher A.; Sievert, James D.; Watkins, James J.; Russell, Thomas P.; Ryu, Du Yeol; Kim, Jin Kon, "Influence of carbon dioxide swelling on the closed-loop phase behavior of block copolymers." Macromolecules 2006, 39 (19), 6580-6583. DOI: 10.1021/ma060329q . 61. Tirumala, Vijay R.; Vogt, Bryan D.; Lin, Eric K.; Watkins, James J., "POLY 462-Influence of strongly interacting homopolymers on the long-range order in semicrystalline, amphiphilic block copolymer templates." Abstracts of Papers of the American Chemical Society 2006, 232, 462-POLY. 60. Watkins, James J., "PMSE 379-Nanostructures in Langmuir monolayer and Langmuir-Blodgett films of amphiphilic tri block copolymers with water soluble middle block." Abstracts of Papers of the American Chemical Society 2006, 232, 89-89. 59. Hess, David M.; Watkins, James J., "PMSE 66-alpha-functional branched conjugating polymers for the synthesis of well-defined biohybrid materials." Abstracts of Papers of the American Chemical Society 2006, 232, 124-124. 58. Shan, XY; Watkins, JJ, "Kinetics of cuprous oxide etching with beta-diketones in Supercritical CO2." Thin Solid Films 2006, 496 (2), 412-416. DOI: 10.1016/j.tsf.2005.08.274. 56. Watkins, JJ; Bishop, DJ, "Fabrication of sub-45nm structures for the next generation of devices: A lot of effort for a little device." MRS Bulletin 2005, 30 (12), 937-939. DOI: 10.1557/mrs2005.246. 55. O'Neil, A; Watkins, JJ, "Fabrication of device nanostructures using supercritical fluids." MRS Bulletin 2005, 30 (12), 967-975. DOI:10.1557/mrs2005.250. 54. Vogt, BD; Pai, RA; Lee, HJ; Hedden, RC; Soles, CL; Wu, WL; Lin, EK; Bauer, BJ; Watkins, JJ, "Characterization of ordered mesoporous silica films using small-angle neutron scattering and X-ray porosimetry." Chemistry of Materials 2005, 17 (6), 1398-1408. DOI: 10.1021/cm048654k. 53. Pai, RA; Watkins, JJ; Bhatnagar, G; Testa, J; Agarwal, S, "Novel amorphous templates for ordered mesostructured films." Abstracts of Papers of the American Chemical Society 2005, 229, U1112. 52. Zong, YF; Watkins, JJ, "Deposition of copper by the H-2-Assisted reduction of Cu(tmod)(2) in supercritical carbon dioxide: Kinetics and reaction mechanism." Chemistry of Materials 2005, 17 (3), 560-565. DOI: 10.1021/cm048665d. 51. 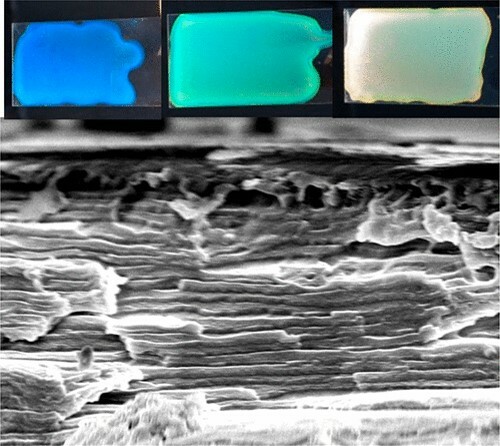 Zong, YF; Shan, XY; Watkins, JJ, "Sacrificial adhesion promotion layers for copper metallization of device structures." Langmuir 2004, 20 (21), 9210-9216. DOI: 10.1021/la048731q. 50. Cabañas, A; Long, DP; Watkins, JJ, "Deposition of gold films and nanostructures from supercritical carbon dioxide." Chemistry of Materials 2004, 16 (10), 2028-2033. DOI: 10.1021/cm034739u. 49. Watkins, JJ; Pai, RA; Agarwal, S; Hess, DM, "Synthesis of robust mesoporous metal oxide films by the rapid replication of structured organic templates in supercritical carbon dioxide." Abstracts of Papers of the American Chemical Society 2004, 227, U478. 48. Gummalla, M; Tsapatsis, M; Watkins, JJ; Vlachos, DG, "Multiscale hybrid modeling of film deposition within porous substrates." AICHE Journal 2004, 50 (3), 684-695. DOI: 10.1002/aic.10062. 47. Hunde, ET; Watkins, JJ, "Reactive deposition of cobalt and nickel films from their metallocenes in supercritical carbon dioxide solution." Chemistry of Materials 2004, 16 (3), 498-503. DOI: 10.1021/cm034433n. 46. Pai, R.A.; Humayun, R.; Schulberg, M.T. ; Sengupta, A.; Watkins, J.J., “Preparation of Mesoporous Materials by 3-D Replication of Block Copolymer Templates in Supercritical Fluids,” Science, 303, 507-510, 2004, DOI: 10.1126/science.1092627. 45. O'Neil, A; Watkins, JJ, "Green chemistry in the microelectronics industry." Green Chemistry 2004, 6 (8), 363-368. DOI: 10.1039/B403729D. 44. Zong, YF; Watkins, JJ, "The influence of temperature and concentration on copper deposition kinetics in supercritical carbon dioxide." Materials, Technology and Reliability for Advanced Interconnects and Low-K Dielectrics-2004, MRS Symposium Proceedings 2004, 812, 267-272. 43. Zong, YF; Watkins, JJ, "Kinetics of Cu deposition by the hydrogen reduction of Cu-(II) (tmod)(2) in supercritical CO2." Advanced Metallization Conference 2004 (AMC 2004) 2004, 353-358. 42. Zong, YF; Shan, XY; Watkins, JJ, "Sacrificial adhesion promotion layer for Cu deposition in supercritical carbon dioxide." Advanced Metallization Conference 2004 (AMC 2004) 2004, 633-637. 40. Vogt, BD; RamachandraRao, VS; Gupta, RR; Lavery, KA; Francis, TJ; Russell, TP; Watkins, JJ, "Influence of a compressible solvent on the phase behavior of polystyrene-block-poly(n-alkyl methacrylate) copolymers." Abstracts of Papers of the American Chemical Society 2003, 226, U529. 39. Cabañas, A; Shan, XY; Watkins, JJ, "Alcohol-assisted deposition of copper films from supercritical carbon dioxide." Chemistry of Materials 2003, 15 (15), 2910-2916. 38. Vogt, BD; RamachandraRao, VS; Gupta, RR; Lavery, KA; Francis, TJ; Russell, TP; Watkins, JJ, "Phase behavior of polystyrene-block-poly(n-alkyl methacrylate)s dilated with carbon dioxide." Macromolecules 2003, 36 (11), 4029-4036. DOI: 10.1021/ma0300544. 37. Sirard, SM; Gupta, RR; Russell, TP; Watkins, JJ; Green, PF; Johnston, KP, "Structure of end-grafted polymer brushes in liquid and supercritical carbon dioxide: A neutron reflectivity study." Macromolecules 2003, 36 (9), 3365-3373. DOI: 10.1021/ma025801w. 36. Gummalla, M; Tsapatsis, M; Watkins, JJ; Vlachos, DG, "Roles of transients and nucleation in film deposition within a support." Industrial & Engineering Chemistry Research 2003, 42 (7), 1321-1328. DOI: 10.1021/ie020879m. 35. Pai, RA; Watkins, JJ, "Fabrication of nanostructured metal oxide films by three dimensional replication of structured organic templates in supercritical fluids." Abstracts of Papers of the American Chemical Society 2003, 225, U136. 34. Gupta, RR; RamachandraRao, VS; Watkins, JJ, "Measurement of probe diffusion in CO2-Swollen polystyrene using in situ fluorescence nonradiative energy transfer." Macromolecules 2003, 36 (4), 1295-1303. DOI: 10.1021/ma021557x. 33. Gupta, RR; Lavery, KA; Francis, TJ; Webster, JRP; Smith, GS; Russell, TP; Watkins, JJ, "Self-diffusion of polystyrene in a CO2-swollen polystyrene matrix: A real time study using neutron reflectivity." Macromolecules 2003, 36 (2), 346-352. DOI: 10.1021/ma021215r. 31. Saunders, G; Watkins, J; Meehan, E, "Polymer characterization using liquid chromatography with evaporative light-scattering detection." LC GC North America 2002, 42-43. 30. Vogt, BD; Watkins, JJ, "Phase behavior of diblock copolymers dilated with light alkanes: Influence of solvent compressibility on upper and lower ordering transitions." Macromolecules 2002, 35 (10), 4056-4063. DOI: 10.1021/ma012154k. 29. Blackburn, JM; Cabanas, A; Long, DP; Watkins, JJ, "Deposition of device-quality conformal copper films from supercritical carbon dioxide." Abstracts of Papers of the American Chemical Society 2002, 223, U663-U664. DOI: 10.1126/science.1064148. 28. RamachandraRao, VS; Gupta, RR; Russell, TP; Watkins, JJ, "Enhancement of diblock copolymer ordering kinetics by supercritical carbon dioxide annealing." Macromolecules 2001, 34 (23), 7923-7925. DOI: 10.1021/ma011086z. Blackburn, JM; Long, DP; Cabanas, A; Watkins, JJ, "Deposition of conformal copper and nickel films from supercritical carbon dioxide." Science 2001, 294 (5540), 141-145. DOI: 10.1126/science.1064148. 26. Fernandes, NE; Fisher, SM; Poshusta, JC; Vlachos, DG; Tsapatsis, M; Watkins, JJ, "Reactive deposition of metal thin films within porous supports from supercritical fluids." Chemistry of Materials 2001, 13 (6), 2023-2031. DOI: 10.1021/cm000837t. 25. Brown, GD; Watkins, JJ, "Preparation of nanocomposites by selective metallization of CO2-swollen cylindrical diblock copolymers templates." Abstracts of Papers of the American Chemical Society 2001, 221, U369. 24. Gupta, R; RamachandraRao, V; Watkins, JJ, "Real time measurement of small molecule diffusion in CO2-swollen polymers using fluorescence nonradiative energy transfer techniques." Abstracts of Papers of the American Chemical Society 2001, 221, U381-U382. 23. RamachandraRao, V; Gupta, R; Watkins, JJ; Russell, TP; Satija, S, "Using supercritical CO2 to enhance surface ordering in block copolymers." Abstracts of Papers of the American Chemical Society 2001, 221, U375. 22. RamachandraRao, VS; Gupta, RR; Russell, TP; Watkins, JJ, "Interaction of polymer thin films with supercritical carbon dioxide: A high-pressure neutron reflectivity study." Abstracts of Papers of the American Chemical Society 2001, 221, U375. 21. Vogt, BD; Watkins, JJ, "Phase behavior of diblock copolymers swollen by compressible media." Abstracts of Papers of the American Chemical Society 2001, 221, U375. 20. Watkins, JJ; Brown, G; Gupta, R; Ortelli, D; RamachandraRao, V; Vogt, B, "Supercritical fluid-assisted synthesis and processing of polymeric materials: Kinetic and thermodynamic considerations." Abstracts of Papers of the American Chemical Society 2001, 221, U369. 19. Blackburn, JM; Cabanas, A; Zong, Y; Quinn, JD; Watkins, JJ, "Reactive deposition of device quality conformal copper films from supercritical CO2." Advanced Metallization Conference 2001 (AMC 2001), MRS Conference Proceedings 2001, 177-183. 18. Blackburn, JM; Long, DP; Watkins, JJ, "Reactive deposition of conformal palladium films from supercritical carbon dioxide solution." Chemistry of Materials 2000, 12 (9), 2625-2631. DOI: 10.1021/cm000118e. 17. RamachandraRao, VS; Watkins, JJ, "Phase separation in polystyrene-poly(vinyl methyl ether) blends dilated with compressed carbon dioxide." Macromolecules 2000, 33 (14), 5143-5152. DOI: 10.1021/ma000066e. 16. Long, DP; Blackburn, JM; Watkins, JJ, "Chemical fluid deposition: A hybrid technique for low-temperature metallization." Advanced Materials 2000, 12 (12), 913-915. DOI: 10.1002/1521-4095(200006)12:12<913::AID-ADMA913>3.0.CO;2-#. 15. Watkins, J. J.; Brown, G. D.; RamachandraRao, V. S.; Pollard, M. A.; Russell, T. P., “Phase Transitions in Polymer Blends and Block Copolymer Induced by Selective Dilation with Supercritical Carbon Dioxide,” In Supercritical Fluids: Fundamentals and Applications, Kiran, E.; Debenedetti, P. G.; Peters, C. J. eds., 2000, NATO Science Series Vol. 360, (277-289), Kluwer Academic Publishers, Netherlands, DOI: 10.1007/978-94-011-3929-8_11. 14. Brown, GD; Smith, SD; Watkins, JJ, "Preparation of platinum and silver nanoclusters via templating reactions in CO2-swollen diblock copolymers." Abstracts of Papers of the American Chemical Society 2000, 219, U501. 13. Watkins, JJ; Brown, GD; RamachandraRao, VS; Pollard, MA; Russell, TP, "Phase separation in polymer blends and diblock copolymers induced by compressible solvents." Macromolecules 1999, 32 (23), 7737-7740. DOI: 10.1021/ma9906377. 12. Vogt, BD; Brown, GD; RamachandraRao, VS; Watkins, JJ, "Phase behavior of nearly symmetric polystyrene-block-polyisoprene copolymers in the presence of CO2 and ethane." Macromolecules 1999, 32 (23), 7907-7912. DOI: 10.1021/ma991102g. 11. Watkins, JJ; Blackburn, JM; McCarthy, TJ, "Chemical fluid deposition: Reactive deposition of platinum metal from carbon dioxide solution." Chemistry of Materials 1999, 11 (2), 213-215. DOI: 10.1021/cm981016f. 10. Russell, TP; Watkins, JJ; RamachandraRao, V; Brown, GD; Pollard, MA, "The influence of supercritical fluids on polymer mixtures and block copolymers." Abstracts of Papers of the American Chemical Society 1998, 216, U830. 9. Watkins, JJ; Brown, GD; Pollard, MA; RamachandraRao, V; Russell, TP, "Transitions in polymer blends and block copolymers induced by phase-selective dilation with supercritical CO2." Abstracts of Papers of the American Chemical Society 1998, 216, U910. 8. Watkins, JJ; McCarthy, TJ, "Chemistry in supercritical carbon dioxide - Swollen polymers." Abstracts of Papers of the American Chemical Society 1998, 216, U831. 7. Watkins, JJ; Brown, GD; Pollard, MA; RamachandraRao, V; Russell, TP, "Phase transitions in polymer blends and block copolymers induced by dilation with supercritical CO2." Abstracts of Papers of the American Chemical Society 1998, 215, U301. 6. Watkins, JJ; McCarthy, TJ, "Chemistry in supercritical carbon dioxide - Swollen polymers." Abstracts of Papers of the American Chemical Society 1996, 211, 238-PMSE. 5. Watkins, JJ; McCarthy, TJ, "Polymer/Metal Nanocomposite Synthesis In Supercritical CO2." Chemistry of Materials 1995, 7 (11), 1991-1994. DOI: 10.1021/cm00059a001. 4. Watkins, JJ; McCarthy, TJ, "Chemistry In Supercritical Fluid-Swollen Polymers - Direct Synthesis Of Metal-Polymer Nanocomposites." Abstracts of Papers of the American Chemical Society 1995, 210, 84-PMSE. 3. Watkins, JJ; McCarthy, TJ, "Polymerization Of Styrene In Supercritical CO2-Swollen Poly(Chlorotrifluoroethylene)." Macromolecules 1995, 28 (12), 4067-4074. DOI: 10.1021/ma00116a004. 2. Watkins, JJ; McCarthy, TJ, "Polymerizations In Supercritical-Fluid - Swollen Polymers - A New Route To Polymer Blends And Composite Foams." Abstracts of Papers of the American Chemical Society 1994, 208, 97-POLY. 1. Watkins, JJ; McCarthy, TJ, "Polymerization In Supercritical Fluid-Swollen Polymers - A New Route To Polymer Blends." Macromolecules 1994, 27 (17), 4845-4847. DOI: 10.1021/ma00095a031.